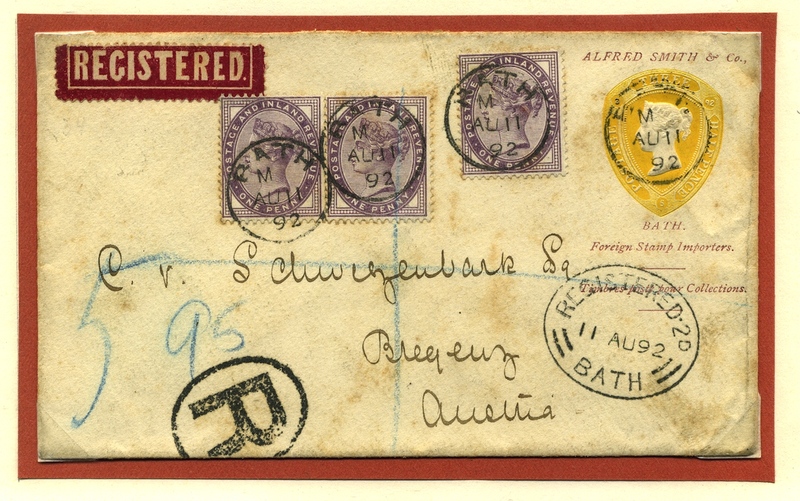 A stamped to order envelope with the 1892 1½d embossed stamp in yellow, prepared for Alfred Smith & Co of Bath who originally had premises opposite the Roman Baths. The embossed stamp is dated 3 May 1892 within the stamp border (the date of it being embossed at Somerset House). It has been used registered to Austria on 11 August 1892, uprated with three Queen Victoria penny lilac adhesive stamps.